It’s spring time and the strawberries are fresh in season! When there are good strawberries around, I love to make YUMMY strawberry salads. They taste so fresh and the strawberries bring in a sweet flavor without very many calories. This strawberry salad is perfect for spring and summer. I often take it to parties when asked to bring a side dish and people constantly ask me for the recipe. The funny thing is that the salad is SUPER easy. It’s the dressing that really makes this salad magical (well, and the strawberries too). I’m actually REALLY happy that I’m finally getting this up on my blog so that when people ask me for the recipe I can tell them that they can find it here (rather than emailing them a copy or something). The Creamy Orange & Poppy Seed Vinaigrette is made with freshly squeezed orange juice and I add a little Greek yogurt to it which gives it a nice zing . . . as well as a nice color. 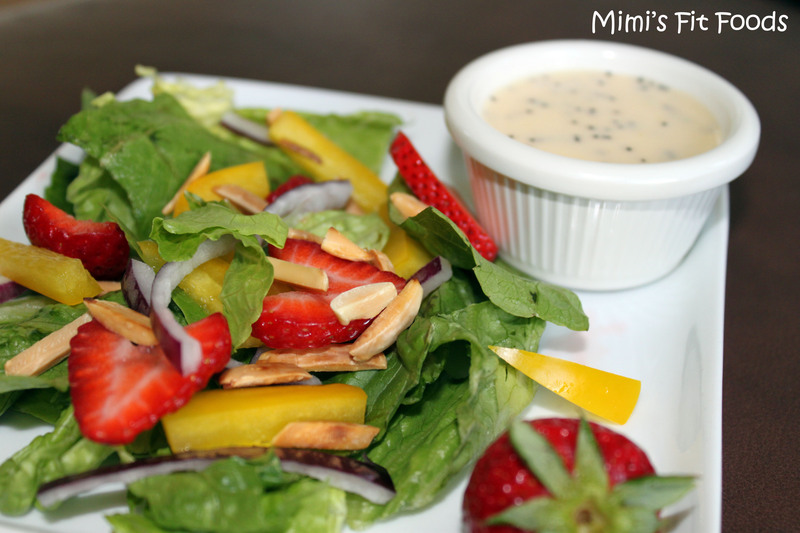 When this orange flavored dressing is drizzled over the strawberries you’ll see how the magic happens. The flavors were meant to be paired together! This salad is great if you want to use it as a side dish. You can also add grilled chicken to it if you want to make it into a meal for lunch or dinner. I usually toast my slivered almonds on the stovetop in a skillet before putting them on my salad (for extra flavor), but this step isn’t necessary. All I know, is this spring and summer salad is super delicious! Give it a whirl while the strawberries are top notch. In the bowl of a food processor (or blender), combine the vinegar, sugar, shallot, dry mustard, salt, Greek yogurt and orange juice. Process to blend well. With the feed tube open and the processor on, add the oil in a steady stream and continue processing until incorporated. Add the poppy seeds and pulse briefly just until blended (sometimes I just stir these in at the end). Transfer to an airtight container and refrigerate until ready to use. To make the salad, chop the lettuce into bite-size pieces. Plate individual servings of the lettuce on salad plates. Top each serving with strawberries (1/3 cup slices), slivered almonds (1 tablespoon), red onion (as much as you want), and bell pepper (as much as you want). 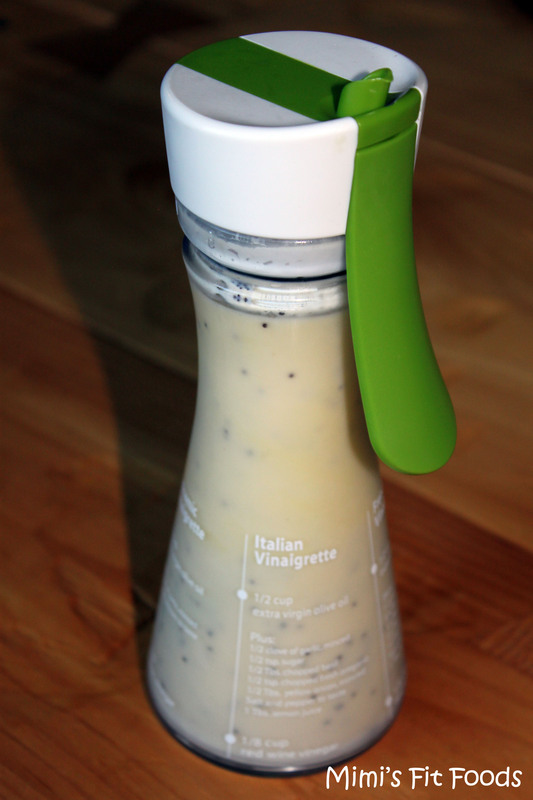 Drizzle lightly with 1 tablespoon of the poppy seed dressing and serve immediately. I am a salad lover! On a salad, anything sweet, especially strawberries, is perfect in my book. I’m making that dressing as soon as I buy some shallots.